Even if I am still very ill and inactive, much has changed through the years, but it’s only with these reminders that I remember what I’ve gone through, what I’ve tried, what has worked and what hasn’t. It’s a great way to re-evaluate and keep track of things. My mum and sister think of these “anniversaries” as memorials, sad times to mourn and they’d rather not be reminded of them annually. I see them as milestones and victories. Although I lost my job, I have gained so much knowledge in new areas of interest, although I can no longer go out and have lost most of my friends, I have gained so many wonderful online friends who share the same journey and have learned which people are truly there for me. Although I cannot attend church anymore, I feel my faith in God has never been stronger and am blessed by online resources. So as each year passes, I will celebrate! 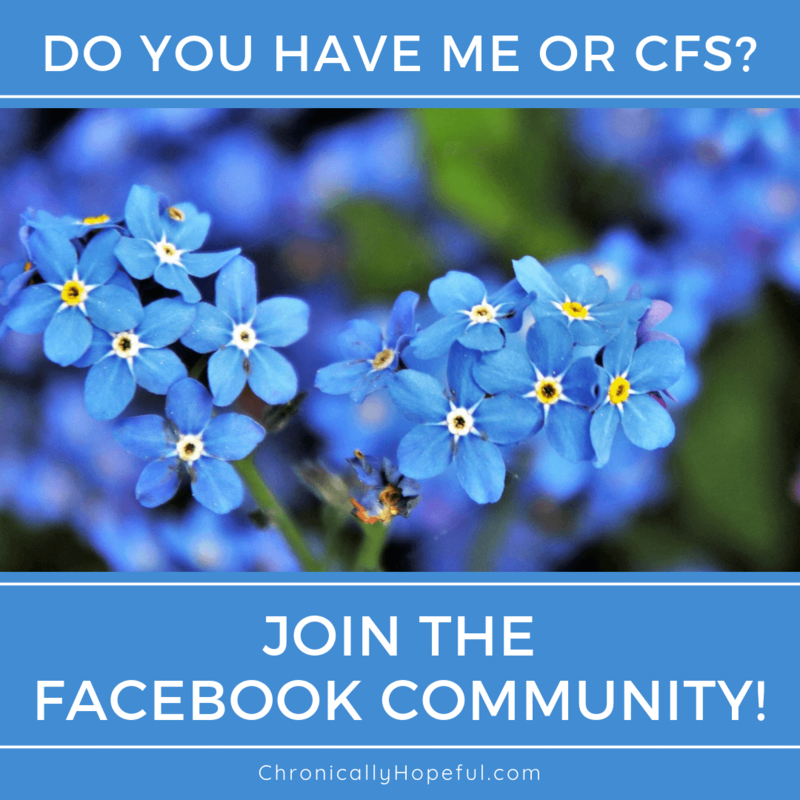 Below I will share the Facebook entries from the past 2 years since my journey with ME/CFS became a reality I could no longer ignore. For many months I had been experiencing fatigue and pain which doctors couldn’t explain, until a viral infection made it abundantly clear that I had to slow down. I spent months at home, from April to December, and many meetings and assessments were attended so that other people, apart from my doctor, could decide whether or not I was fit for work and if not, when I might be. Went in to school for a meeting today. Because of the stress leading up to it, in addition to other issues that have come up this week, I was in not such good shape initially – even got a bit of tinnitus along with the shaky legs, but the meeting went well enough and I got to rest afterwards before making my way back home. During my rest I got to see many of my colleagues which was lovely and I was feeling quite well too, the relief of it all being over I guess, but now in the cab back home, I’m starting to tense up again, pain is creeping in all over, even my ears and throat are sore, and fatigue is setting in too. This day has taken its toll I think, time for a proper rest! So grateful for the friends who have helped me through all of these stressful meetings and appointments. That day was tough. I knew I wasn’t fit for work and there were no signs of improvement, decline if anything. As much as I felt guilty for still being paid a salary all the time I was unable to work, as well as the guilt of knowing that my colleagues were taking on extra work because of my absence, I still didn’t want to lose my job. I loved my work! It was a strange combination of wanting all the bureaucracy and assessments to end, wanting the guilt to end, but at the same time wanting to return to a life I loved, wanting to have a bit more time to see if I got better and could return and at the same time fearing the loss of work and salary. The fear that I might lose my home. It’s not a nice place to be emotionally. I had a lovely colleague and friend who would attend all these meetings with me and help me to remember what needed to be said. I had some advice from online support groups which I wasn’t really comfortable with, but I took it anyway and felt really silly and guilty for bringing it up during the meeting. It was about requesting a payout of some description, I cannot remember now what it was called, but I felt so ridiculous for even mentioning it. I suppose in the grand scheme of things it doesn’t really matter apart from maybe making me look greedy, which I’m not. I was surprised and super grateful for every penny they paid me while I was unable to work. Still am. So I guess the only damage there was my pride. A year ago today, at this meeting, I lost my job. I was and still am “unfit for work”. I didn’t know at the time of the meeting, the report was sent later, but it was the most probable outcome. I’m so glad though, it’s taken a lot of stress off my shoulders, not worrying about getting back asap, going in only to go home early, making my condition worse by travelling back and forth, worrying about letting people down, others having to do your job on top of their own, etc. My full time job now is recovery! I had to leave without a verdict, but I received a letter in the mail later on which let me know that my contract had been terminated, from the day of that meeting, since it was clear that I was unfit for work and nobody could predict a timeline for my illness. They gave me an extra month’s salary and that was it. When we have a chronic illness our one main focus is recovery, despite what many people seem to think about us, none of us want to be ill. None of us want to be stuck in our bedroom or home for months on end. Our full time job is recovery. How can I reduce pain so I can function? How can I modify my diet or nutrition to help my body heal or cope? How can I manage my fluctuating heart rate or my insomnia or my core temperature? Can I sit up, get up, walk to the bathroom, brush my hair, bath, get dressed or entertain a visitor today? Every aspect of each day is examined, planned and executed with meticulous care to ensure we are able to maintain the most functionality possible. Full. Time. Job. Although I might be deemed unfit for work, I work daily. I have schedules and routines, alarms and reminders to make sure I remember to move, remember to rest, remember to call this person, remember to rest again, refill that prescription, take that supplement, remember to rest again and don’t forget to swallow that pill! Such an honest account and a great way to give others a little insight in to what it’s really like. Since I lost my job last year then was declared unfit to work and currently awaiting another surgery, I’ve really struggled with the mental and emotional aspects of not working, and the perceived judgement of it. You’ve said it so well with “Although I might be deemed unfit for work, I work daily.” Brilliant post! Hi Caz, thank you for your comment. I’m sorry it was something you could relate to though. Losing your job is not easy, even if you know it’s bound to happen and are expecting it. When that letter arrives and it’s final, it hurts. It really is a sense of loss that we mourn. Perhaps because we find our identity in what we do, perhaps simply because we found great reward in what we did. I know I absolutely LOVED my job and was heartbroken to not be able to continue what I had started. I understand what you mean about the perceived judgement. I remember the fear of having to need state benefits just to survive and the stigma that comes from that. So many extra stresses that we have to deal with on top of our illness!